In the history of children’s literature, Heinrich Hoffmann’s controversial classic Der Struwwelpeter (1845) marks the transition to the modern type of writing for children – a vivid and dramatic picture book with the child protagonist centre stage. The stunning success of the book led to numerous translations and spin-offs across the globe, and the conference will take place on the occasion of the 160th anniversary of the first publication of Struwwelpeter in Polish. Special focus is thus on the journey of this children’s classic across various languages, historical epochs and translational cultures. 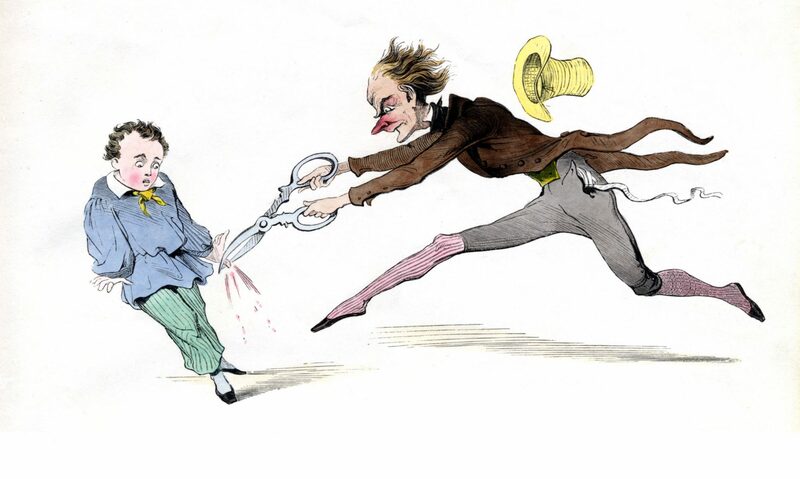 We will also take this anniversary as a starting point to consider how such issues as morals, nonsense, grotesque, humour and the macabre – all part of Hoffmann’s Struwwelpeter – have been tackled in translations for children. Apparently universal, on closer inspection these issues prove to be culture specific categories. Likewise, their treatment in translation is dependent on a variety of factors, many of which result from culturally engrained concepts of writing and translating for children and the notion of appropriateness. As the concept of literature for children has changed, so have the ways in which mediators, from translators to critics, approach their work. Earlier translators tended to take considerable liberties when rendering texts for children, for example, toning down or, on the contrary, exaggerating the moralizing zeal of the original, or censoring the elements considered unsuitable for children such as cruelty and the macabre. Adaptations rather than translations for children were widespread and more readily accepted than today. We are interested not only in investigating renditions of textual production for children, but also in other material such as films and games created with the child recipient in mind. Translation is understood broadly, and thus includes such specific types as literary translation, audiovisual translation, localization and media accessibility. As the conference focuses on translation for children, we invite both practitioners (authors, publishers, translators) and scholars working in translation studies, children’s literature studies, book history, pedagogy and other related disciplines that can provide promising lines of research. We welcome proposals that work with a variety of methodologies, from established text analysis to empirical research and data-driven approaches (digital humanities). Conference languages are English and Polish. Conference publication (peer-reviewed) is planned.